I don't have a whole lot of money to decorate my kids room, let alone my whole house, so I've come up with some fun and cheap ideas to make mi casa all fancy like over the years! 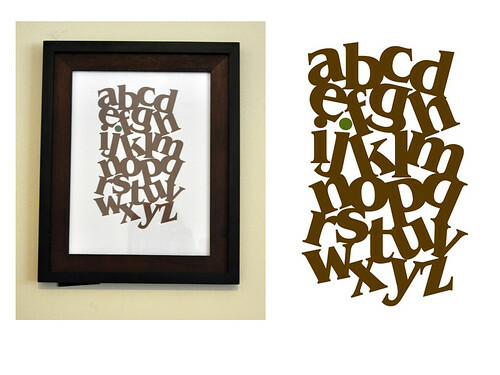 I've been drooling over some gorgeous alphabet prints over at Etsy for my son's room. 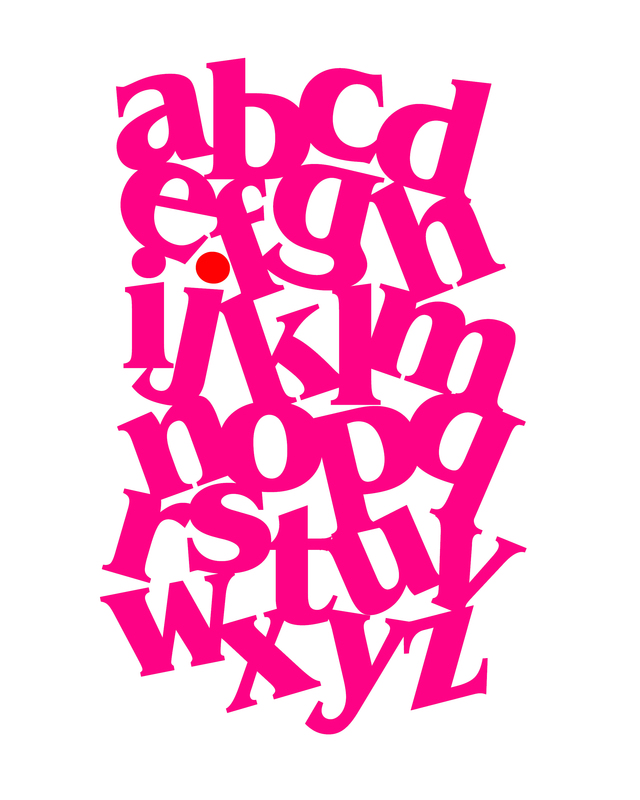 I especially love petitcollage's Animal Alphabet Silkscreen Poster and pennypeoples's Alphabet Print. I printed this out with my regular ink jet printer and slapped a $5 Walmart frame around it, and whoo hoo instant art! 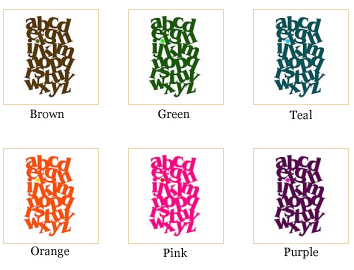 I made this print in 6 different colors, so you can print them out too. The size of the poster is 8x10 inches, just click the link below to see the original size, then right click to save to your computer and print.